Following the phenomenal success of the first Intellectual Property Business Congress (IPBC) Australasia in November 2016, IAM was delighted to return to the Sofitel Melbourne on Collins on November 30 2017. 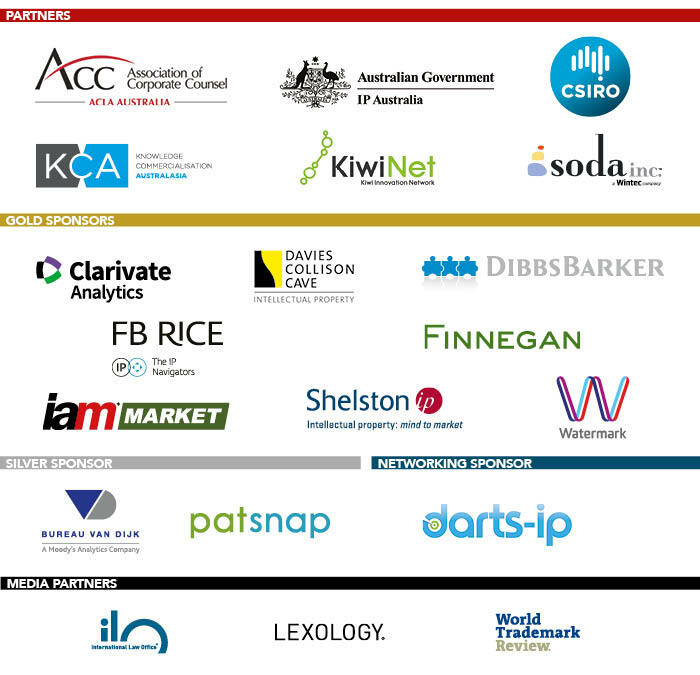 Built on IAM’s extensive relationships within the New Zealand and Australian IP communities, IPBC Australasia was specifically designed for senior IP executives at the region’s leading corporates, research institutions and governmental agencies, plus emerging companies from across the industry spectrum. The IPBC Australasia programme took the core themes of IP value creation and strategic corporate IP best practice and discussed them from both the New Zealand and Australian standpoint, with particular attention to innovation-based growth and international expansion strategies. With over 160 delegates from leading domestic companies, international corporations, research institutions and government bodies in attendance, the 2017 event was a huge success. Join us across Asia in 2018 – registration now open! Our focus now turns to a series of local and regional events taking place across Asia in key jurisdictions during 2018. Join us there for more high-level insight, analysis and debate. Spread over specific dates in March and April, delegates can structure a single business trip to attend the IPBC events relevant to their business goals, meet key senior executives from local IP owners and gain unparalleled access to these key Asian markets. Click on the websites above to register. Contact us here to register for IPBC Japan or IPBC Asia. Websites coming soon. For more information on IPBC events in Asia, including our multi-event rates and sponsor opportunities, please contact Kint Hui on +852 3956 1600 or khui@GlobeBMG.com.